Teknor Apex — Ed Wojcik Architect Ltd. 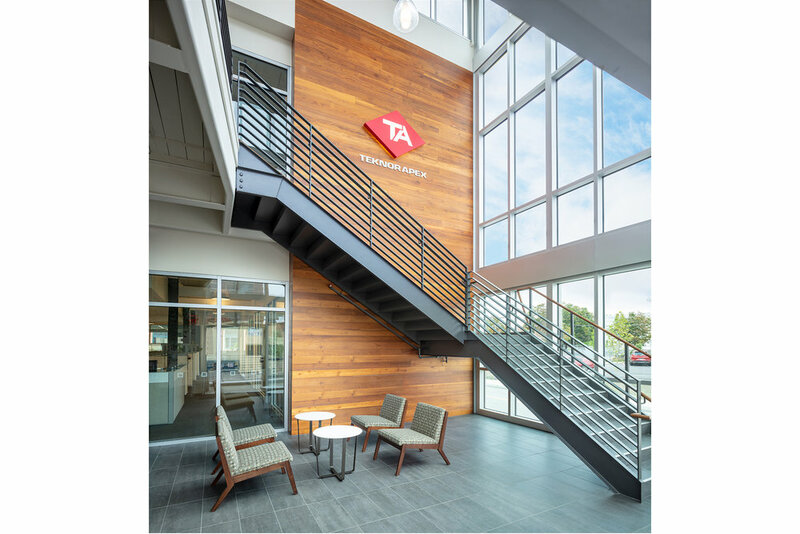 The renovation of an existing warehouse building for Teknor Apex included the design of the full exterior and façade, Interior First Floor for new office space, infrastructure for future build-out of the second floor, and parking lot improvements. Sensitivity to the building’s history was considered when selecting interior finishes. Wood, stone, rust and copper tones were used to acknowledge the past but were given a touch of modern flair. These natural materials offer warmth and comfort while the clean lines of the furniture help maintain a sleek feel throughout the space. 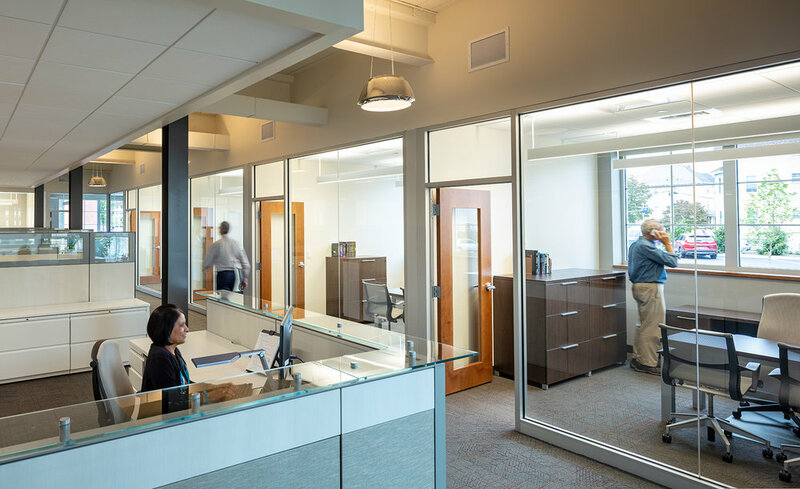 This balance provides a working environment that is quiet, productive and inspired for their engineering department. - Jonathan Fain Chairman/CEO, Teknor Apex Co., Inc.